Social messaging apps, you call it fun or a free service to hang out all across the world having online friends. Yeah, to some extent it is fun when you don’t want to have your friends physically, but to chit chat with them sitting on the chair, lying on a bed and even having a cup of tea at your breakfast table and you are talking to your friends and get to know how they are doing? However, all the trendy social media apps have come up for children and teenagers with a lot of risks when it comes to using the instant messengers as a dating app or they are using traditional dating apps such as Tinder, Snapchat and plenty of others alike. The instant messaging apps such as Facebook, Yahoo, Line, Vine, and plenty of others may not have introduced for dating, but modern generation as kids and teens using it for blind dating. Therefore, parents are too much concerned over their children to involve in such activities that they have to long for it and get to know what’s right what’s terrible for them. Apparently, online messengers and dating apps are not liable sources for young teens to get into the relationship with they don’t know in their real life. The reason behind online relationships is simple they are not trustworthy. So, parents feel concerned, and they don’t let their teens and children to get involved in such relationships that have not future and could be risky and dangerous for them regarding life and self –respect. Why dating through social messaging & dating apps is risky for teens? Since the social media and dating apps have come into existence, young kids and teens have got their own cell phone devices, and they install it over their cell phones. Then they have started to get to know what is chatting, audio and video conversations and sharing the photos and videos and other activities. The rise and the rise of social media and dating apps have pulled the trigger for teens, and all the real-life predators decided to become online predators, and they have started to catch young kids and teens via instant messengers and dating apps to portray as the teenager to their victims. Some weaknesses can exploit young teens and kids regarding health, emotions, and habits. Some cyber dangers can harm young kids and teens via online dating and instant messengers that we are going to discuss. They can humiliate badly by the bullies online that ultimately can put a dreadful impact on their mind and they become a patient of depression and anxiety and can commit suicide due to a load of pressure in their heads. They can be trapped and raped consensually by the stalkers, and the same thing could be done inhumanly by the sexual predators. Most of the teens have got ditched, abused by the cyber predators and in some cases, they have lost their lives as well. Then what parents have left to stop teens from using social and dating apps to prevent stalking and other dangers such as health issues and bad habits of sexting and watching carnal content. All it is possible with the use of cell phone monitoring software. TheOneSpy is world powerful and no.1 cell phone spy app that is the perfect tool to spy on the contemporary cell phone devices. It has plenty of tools that can enable parents to monitor kids and teens and as well as installed social messaging apps and dating apps to the fullest. 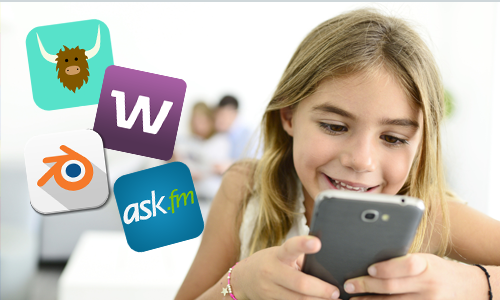 Parents can use IM’s social media tool of the mobile phone tracking app and get access to the target smartphone installed instant messengers and dating apps and can view logs such as chat conversations, text messages, shared media such as photos and videos, audio video conversations and WhatsApp, Facebook, Telegram and Imo Voice messages. Moreover, a parent can make short videos of the cell phone screen back to back with TOS live screen recording when dating and social messaging apps are running in the target mobile phone device. It means you can get to know all the activities happen on each and every single social and dating app having documented proofs in hands. Cell phone spy software is the ultimate and reliable tool to track the instant messengers and dating apps installed on kids and teens mobile phones to the fullest. Parents can use it to protect their children and teens from cyber predators to the fullest.